Vilamoura resort is a must-see place to visit or to holiday! It is the biggest private tourism resort in Europe and is one of the most prestigious in Portugal. Although very near from the traditional Algarve, the purpose-built leisure resort of Vilamoura offers accommodation to suit all tastes - luxury hotels, privately owned villas and apartments on the golf course complexes, and a wide range of hotels and apartments near the marina. 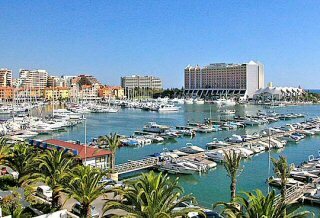 At the heart of Vilamoura is the marina which has the capacity to berth over 1,000 vessels. Vilamoura attracts the wealthy, yachtsmen, golfers, celebrities and in fact, anyone who just fancies enjoying a rather nice place in the sun! The marina is surrounded by large hotels and luxury holiday homes as well as a large casino and numerous restaurants and vibrant bars. At the far corner of the marina, it is possible to charter boats for big game fishing. There are also facilities for jet skiing and parascending. Close by there are also a number of sports clubs, a shooting range and many night clubs. Tourism in Vilamoura is extensive and well-developed, with many different resorts with ratings from three to five stars. This is a substantially higher average than the surrounding areas, which have ratings varying from two to four. As a consequence of being mostly privately owned, the town is very opulently designed. The town and marina have an extensive variety of activities which are usually on Tuesdays, Thursdays and at weekends, including touring the local caves along the coastline (which are nearer to Albufeira than they are to Vilamoura). This cave tour is usually done on tour boats. The area also has two companies which operate trains-on-wheels for travel between resorts. Vilamoura golf has become world famous, and if you like golf, you will be pleased to know that there are several championship golf courses (all requiring handicap certificates by the way). For anyone who simply likes to go to the beach to relax, Vilamoura has two beautiful beaches, Praia da Marina ('Vilamoura Beach'), to the east of the marina and Praia da Falésia to the west. If you enjoy a walk, Praia da Falésia runs all the way to Olhos d' Àgua or stroll along Praia da Marina into Quarteira. 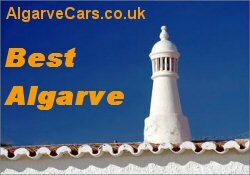 If you are staying in Vilamoura, enjoy your holidays to the best by booking your Vilamoura car hire at cheap price at AlgarveCars.co.uk and save on your Algarve holidays. 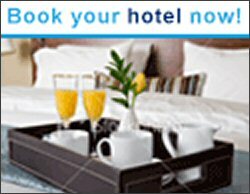 Main atractions: Vilamoura Marina, Restaurants, Bars, Roman site, Beach, Casino, Golf.